Still e-mailing your clients programs? Or sending home copies of stick exercises? There is a better way! CoachFit is a personal trainer app that opens up a whole new world of coaching clients and boosting your business. CoachFit is also a workout planner app, providing at home workouts and complete programs for your clients to stay focused and track progress wherever they are. Sign Up Now for Free Trial! Send clients our general to sports intake form, PAR-Q, nutrition intake, and more. Clients can complete and upload responses into the Client Portal, providing the groundwork for the next step—Analysis. Utilize our exclusive D.M.S. 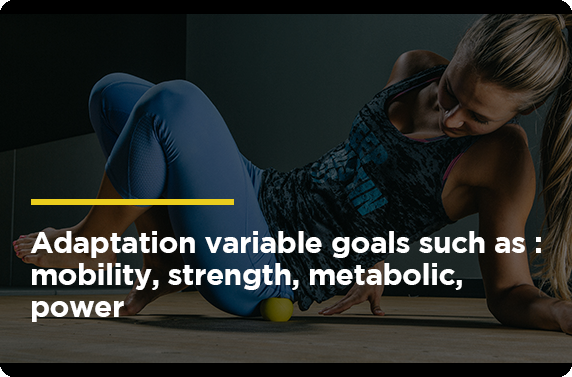 to assess Mobility, Strength, Metabolic, and Power Profiles of your clients/patients. Input your findings and save directly into the client profile. Add intake, analysis and nutrition, pain management, and other documents to personalize your services and your treatment plan. All these documents are managed on the cloud. 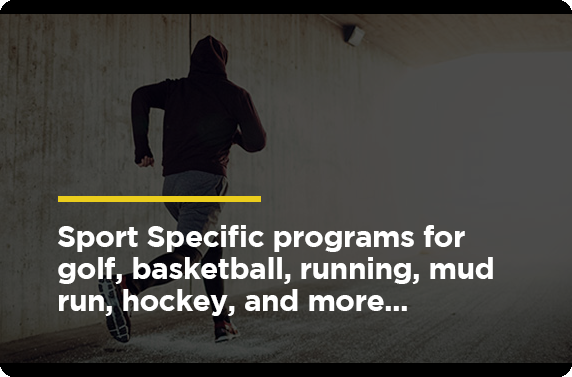 Once you have completed the D.M.S., the CoachFit personal trainer app will recommend associated programs based on your findings. 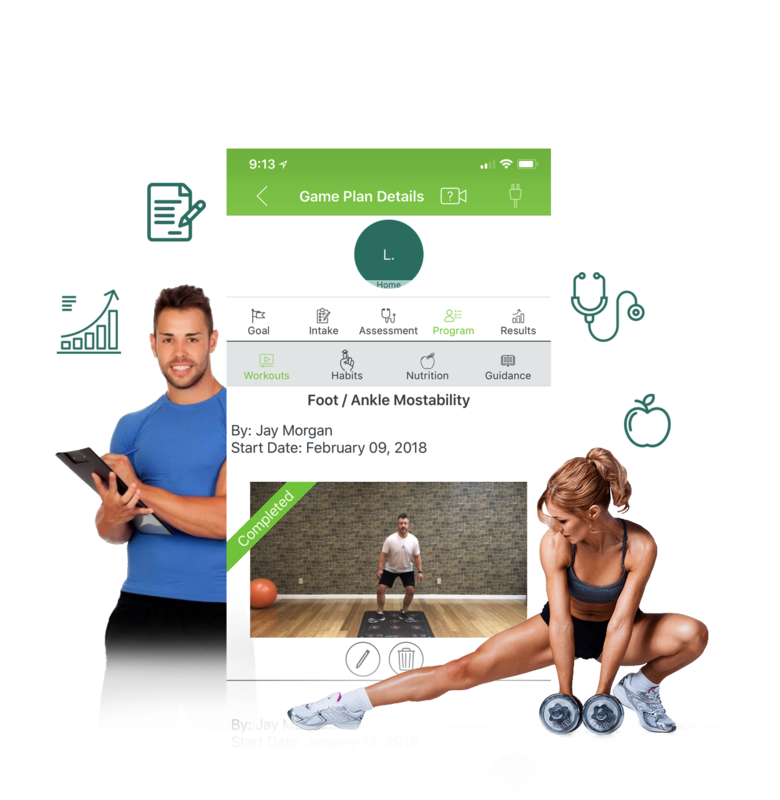 CoachFit is a workout planner app that gives instant access to GamePlan programs sent to your client with a touch of the finger. Track what your clients are doing and ping them using in app and email messaging. Send out automated emails to cross promote the conditions you treat and the services you offer. At the core of the CoachFit personal trainer app is a mission to improve proactivity that one has towards their health and vitality. Clients will set up their total weekly activity goals with your guidance, and as they complete your workouts they will fill their movement rings. Ability to schedule clients for private sessions and charge for session packages — all within the personal trainer app. Boost your passive revenue stream by joining the digital fitness world by coaching in-person and online. CoachFit gives you access to Stripe Merchant Services allowing you to collect payments. Your company name is front and center within the CoachFit personal trainer app, any correspondence from you comes from your company name. Want to film your own custom videos with logo? You can do that, too. Say goodbye to paper and clutter! The D.M.S. assessment, intake forms, support material, client programs, and more are all digital. Store everything in our HIPPA compliant cloud. Own a small group boutique center? Great, CoachFit allows you to schedule group classes within the personal trainer app. Clients can then reserve their group class times from the app. CoachFit empowers personal trainers to become the most efficient and effective version of themselves, saving time on planning and administration. Why Do I Have to Sign Up for the App? CoachFit is a personal trainer app that’s available for download on the Apple App Store and Google Play Store. Because of this, some people wonder why they must first sign up for the CoachFit app instead of just downloading the app to their phone or tablet. 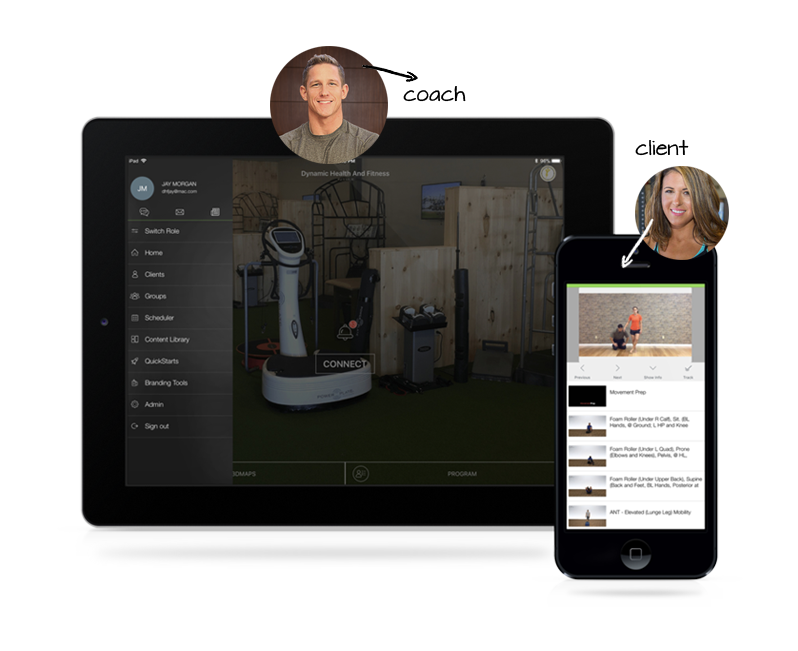 Signing up for CoachFit provides personal trainers with access to their own personalized portal. By signing up for CoachFit, personal trainers are creating an account for the portal, allowing the personal trainer to invite their clients to the CoachFit app. Simply put, signing up for the CoachFit app allows personal trainers to invite their clients. This is an important first step toward growing your business, and experiencing the benefits of CoachFit.